Indian Junior Hockey Men's team on Friday beat Australia via penalty shootout to enter final of Junior Hockey World Cup. Indian Junior Hockey Men's team on Friday beat Australia via penalty shootout to enter final of Junior Hockey World Cup. The match was played Lucknow. At half time Australia lead the score by 1-0. 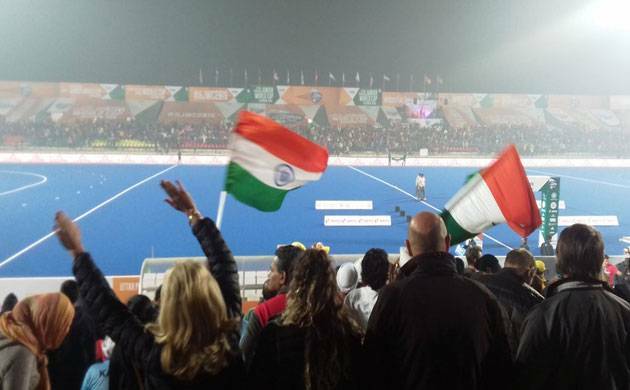 Earlier in the tournament, India defeated Canada 4-0 in their opening match, scored a close 5-3 win against England and then beat South Africa 2-1 to qualify for the quarter-finals. They also defeated then Spain 2-1 to make it to the last four. #Australia breaks the deadlock in the 14th minute of the match, converting a penalty corner via Tom Criag to take the lead.